Get ready for the next shot with this SanDisk Ultra II SDCFH-004G 4 GB CompactFlash Memory Card! It delivers fast performance for serious digital photographers! It features a 4 GB storage capacity with fast 9 MB per second write speeds and 15 MB per second read speeds! 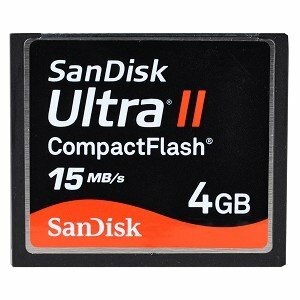 Capture, store and share with this SanDisk Ultra II SDCFH-004G 4 GB CompactFlash Memory Card!